Update: I often forget my BDO Internet Banking password because BDO requires password change from time to time, not allowing previously used passwords to be used again. I have a tip to share regarding the online password reset system (“Forgot Password” link) of BDO Internet Banking: If you are 100% sure that all your entered information is correct during password reset, try adding two zeros (00) before your 10-digit account number, so something like 001234567891. The online password reset of BDO always failed when I tried to use it so phoning them had always been my option. It’s the option I prefer less because I do not like talking. After my most recent phone reset I took the time to check all details recorded in my BDO Internet Banking account, and found out that my 10-digit account number in their database is preceded by two zeroes. I was having a hard time recalling my BDO (Banco de Oro) Internet Banking account password and made a mistake twice and my account got locked out. If I remember correctly it had to be three times before the BDO online account gets locked out. I have had this problem before and I got in touch with BDO support. Following is the response that I received from them. I’m gonna have to refer to this again to get my BDO Internet Banking account unlocked. after the prescribed number of erroneous tries attempted by the user. field blank and you will be asked to enter your Mother’s Maiden Name. will apply. This service is available 24×7 and even on holidays. I tried resetting my password using BDO’s Forgot Password System on their website, but without success. The system won’t accept the info I entered, stating that some were incorrect. So I decided to just call BDO Contact Center hotline. I followed the voice prompt – pressed 1 as a Philippines resident, and then pressed 9 for my Internet Banking / Telephone Pin Reset concern. The conversation between me and the agent was brief. First thing she asked was my name and then the bank account number enrolled in the BDO Internet Banking account whose password I want reset. Then she asked me to wait for a few minutes so she could lookup the information in my account. After the verification, the BDO agent informed me that I am going to receive an email within 10-15 minutes containing the temporary password that I should use to login and change my password. This temporary password expires after 72 hours. Did you use your mobile phone calling the agent for password reset? Or land line? gd mrning pwd poh ba magtanong about my pasword……………….. Thanks for the valuable information. 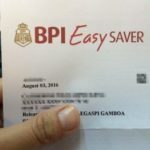 One thing I noticed now that the BDO e-banking services had updated their site already, and some of the info here are not anymore applicable. My account was locked for several months now, I’m here in Saudi and find it really hard to contact them by phone. Still hopeless till now.. Thanks anyway. I have the same problem as yours, Sir Ben. As you said, “hopeless till now”. 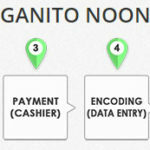 I just hope BDO could come up with easier ways for OFW’s to access their online banking system. i tried the forgot password but unfortunately it was telling me, only the customer who has an active account can do it, my account is locked! how can it be active? i just tried 1 time to log in but they locked my account. can u please access my bdo account here online coz it is locked. Hey there, I found your site catzie.net while browsing http://blog. additional content to your blog posts? It’s true, what you say is valuable and such. But think about if you added some great graphics or videos to give your posts just a little more “pop”. Your article is awesome, but if you were to add more diverse media, your blog could without a doubt be top-of-the-line in its category compared to other sites on . mine requires One Time Password but the thing is, i had my number changed. how can i proceed?